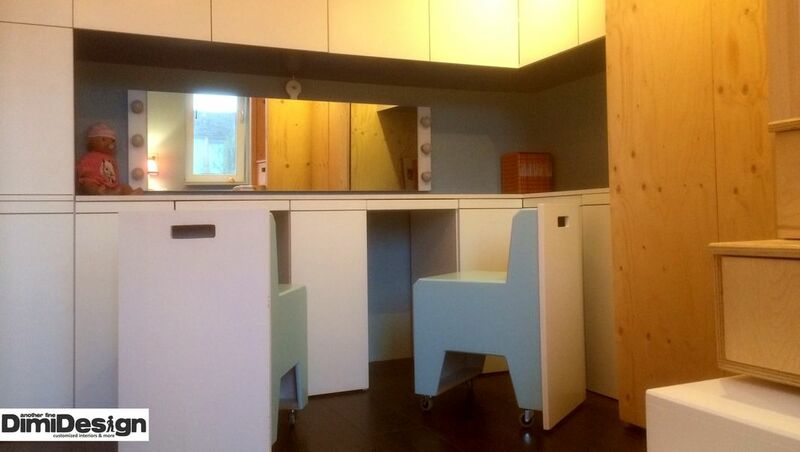 A complete metamorphosis of a children's room. 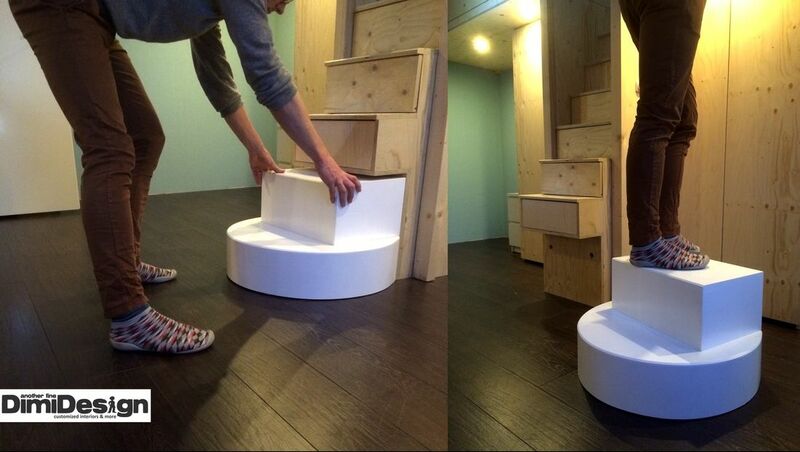 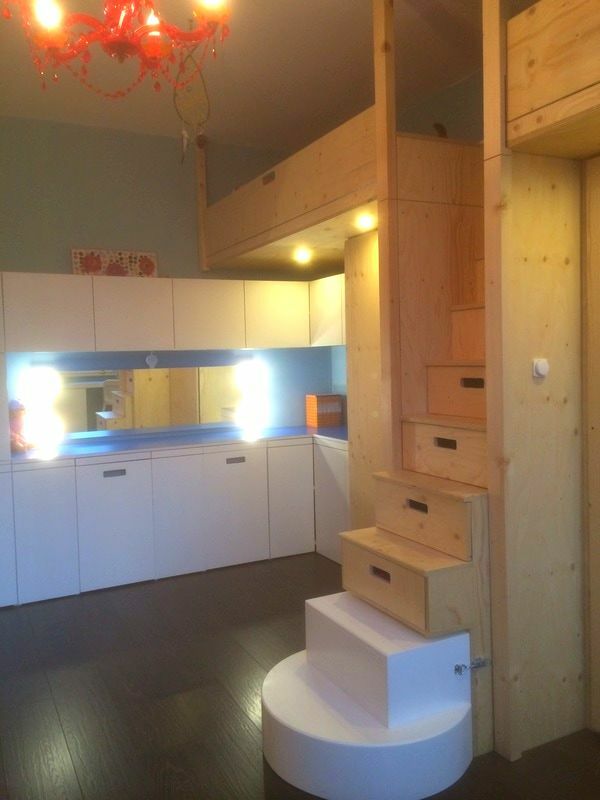 Two children sleep in a double loft with all the space optimized. 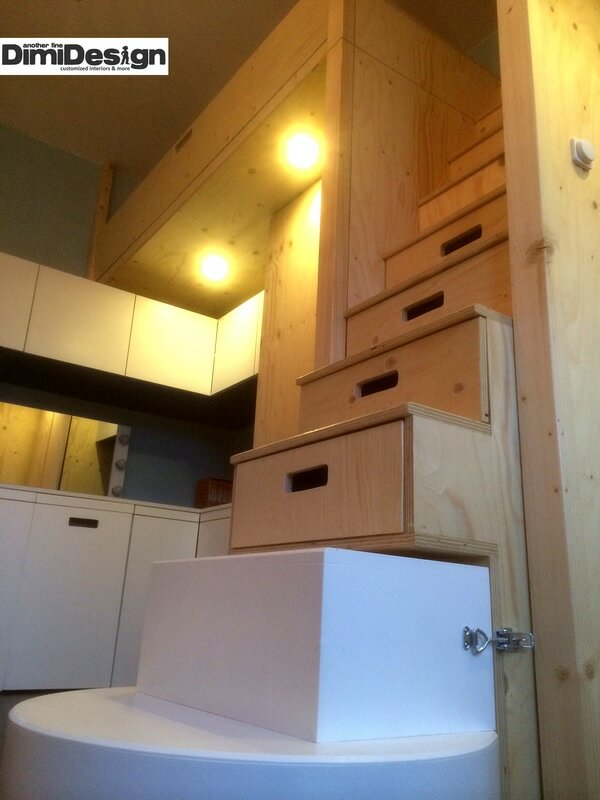 Lots of closet space: wardrobes, shutters, closets, secret drawers. 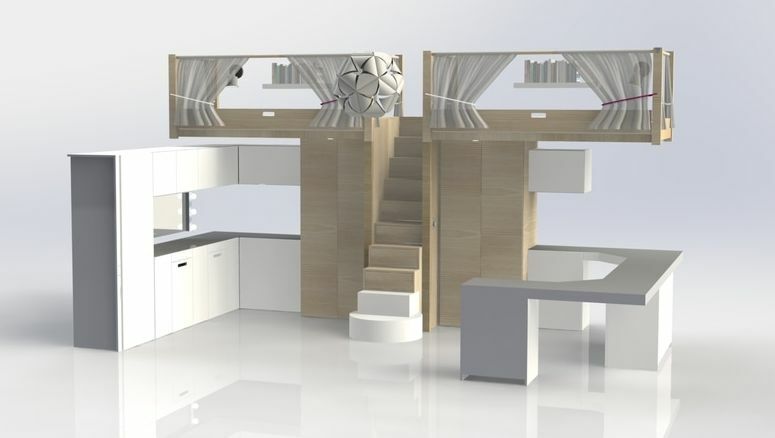 Lots of space: The design is a U which keeps the center clear, but especially by the double loft beds, you have a lot of free space. 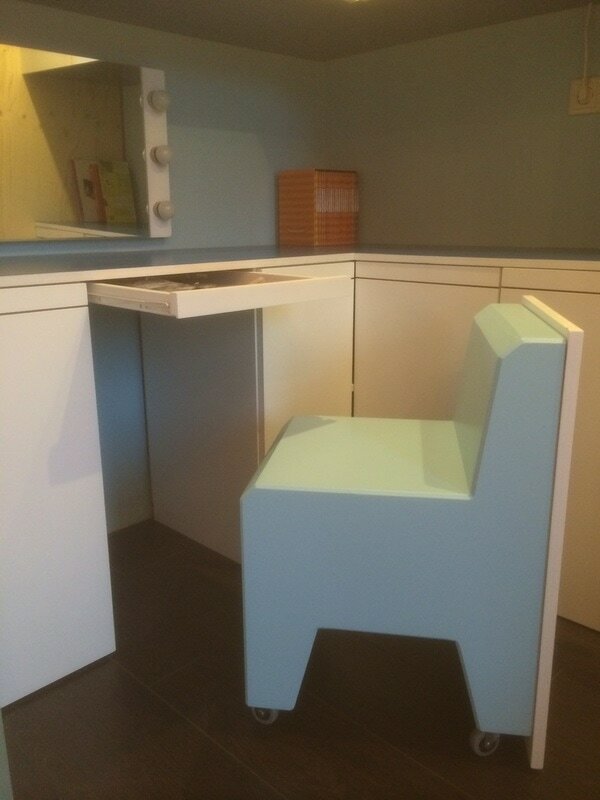 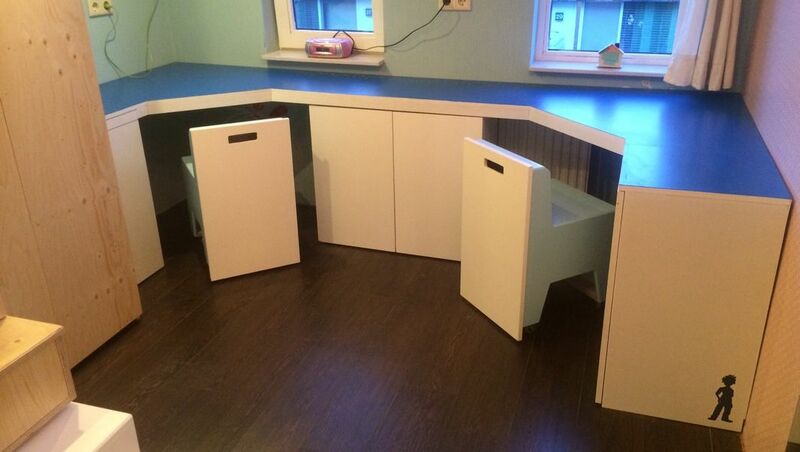 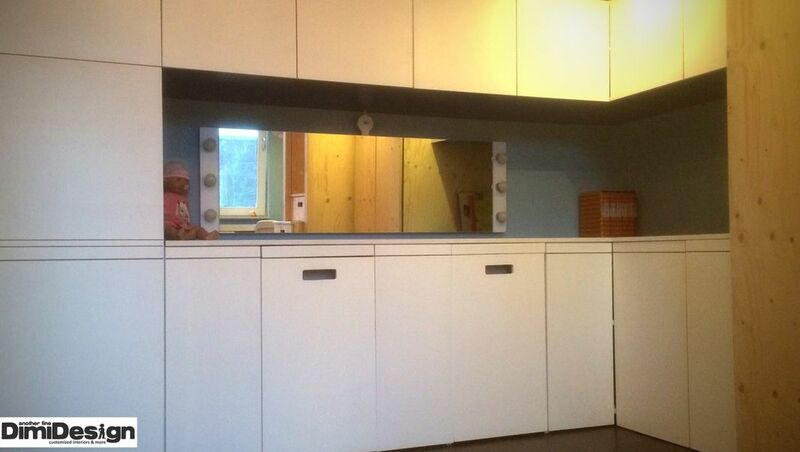 A large desk and make-up table including hidden chairs on wheels, drawers and a theater mirror.